Join us at a SAGE Event where you can connect with peers, socialize, learn about the challenges faced by future generations, and ways to make a difference. We lead discussions and workshops throughout the year on a range of topics. We meet almost anywhere: homes, businesses, community centers, cafes, residential communities, schools, and places of worship. Events are free or low cost and open to the public. Young adults are encouraged to attend and share their experience as well. We also host Visiting SAGE speakers to inspire people to make the world a better place. Check out the photo gallery below for highlights from our past Visiting SAGE speakers, including Van Jones (2018) Paul Hawken (2016), Robert Putnam (2015), Nicholas Kristof (2014) and Marc Freedman (2013). 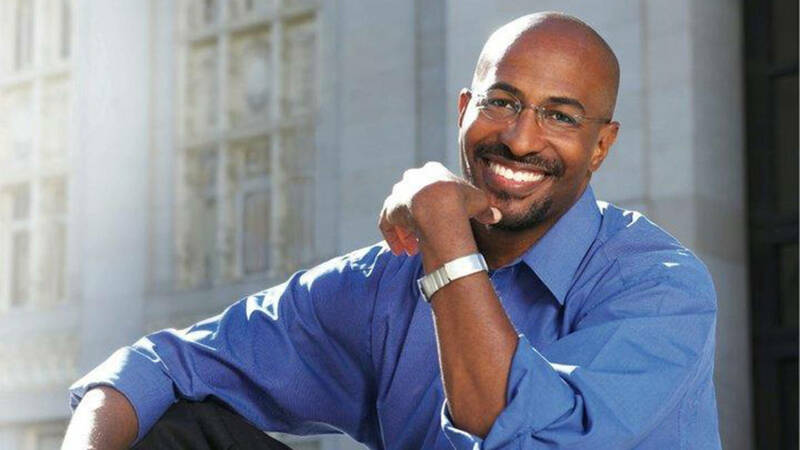 SAGE welcomed CNN host, best-selling author and social entrepreneur Van Jones for a discussion about his new book, “Beyond the Messy Truth,” and his vision for how Americans can move beyond partisan divides and find meaningful solutions to our common problems. 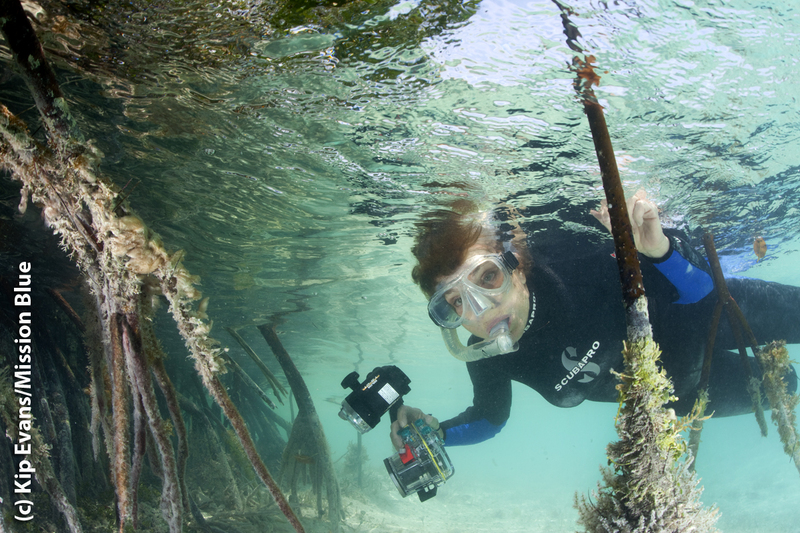 SAGE welcomes explorer, scientist, and activist Sylvia Earle. Details coming soon! SAGE featured sustainability pioneer and best-selling author, Paul Hawken as its 2016 Visiting SAGE. 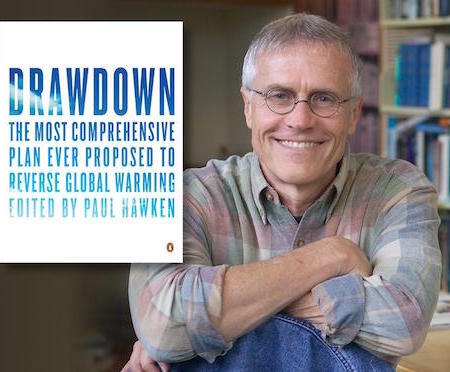 Hawken spotlighted Drawdown, a nonprofit that features 80 solutions to reverse climate change. He inspired us with his core point – humanity is brilliant, and we have the tools to tackle this global challenge. 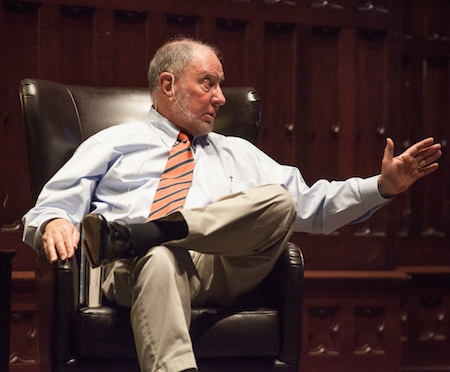 In 2015, SAGE hosted one of the most influential teachers in the world – Robert Putnam. Putnam spoke about his bestseller, Our Kids: The American Dream in Crisis, which looks at the growing barriers to upward mobility in our country, and ways to restore the promise of the American Dream. 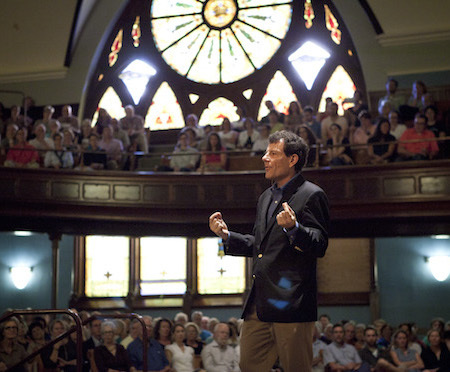 SAGE celebrated two-time Pulitzer Prize winning author and New York Times Columnist Nicholas Kristof as its 2014 Visiting SAGE. Kristof spoke about his book, A Path Appears, which describes effective ways to support causes that you believe in. He demonstrated how even small gifts add up to the millions of drops that fill buckets and change lives. 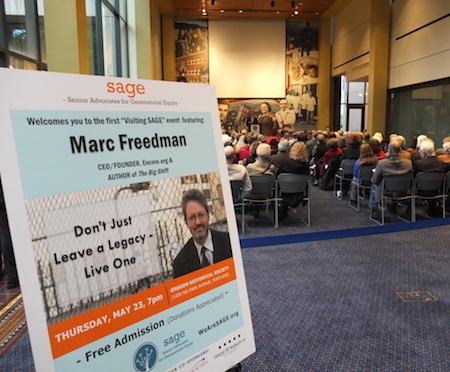 In 2013, SAGE featured Marc Freedman, the CEO of Encore.org, and the leader of a movement to make it easier for millions of people to pursue encore careers – “second acts for the greater good.” Guests enjoyed Freedman’s inspiring presentation on how seniors can live a legacy of public service.